Brigade Kitchen was founded in 2017 with a simple objective: give home chefs the high-quality tools they need at a fair price. Brother & Sister founding Team, Shane & Josephine Finnegan found themselves constantly frustrated with the options available when cooking at home. 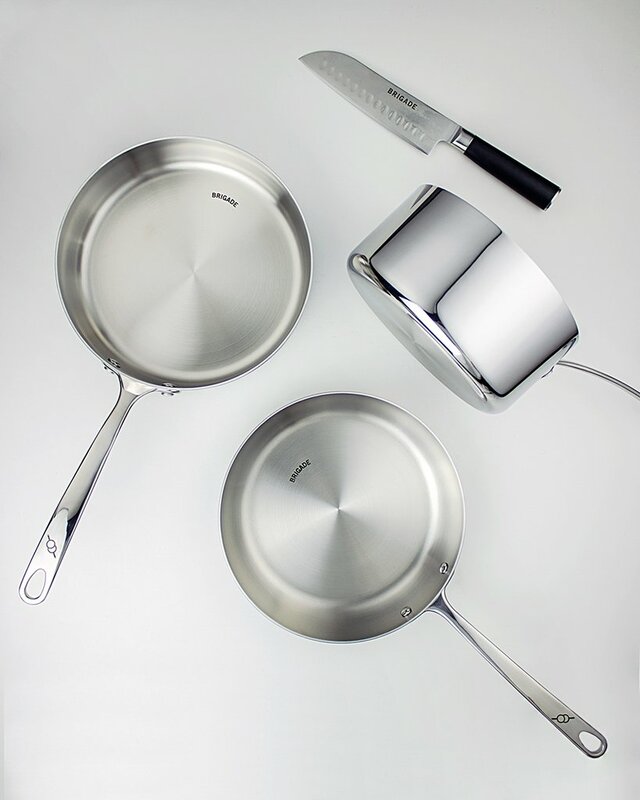 Either you go cheap, and fully anticipate tossing the cookware in a few months, or you make some financially irresponsible decisions in kitchen specialty stores (which we don’t recommend). Brigade is the happy medium. We work directly with some of the best and most experienced manufacturers in the world, cutting out the middlemen and allowing us to provide you with the same premium products you would find in kitchen specialty stores but at ﻿half the price! !